The Trump administration has removed from its personnel website guidance for all federal agencies to follow regarding transgender employees, and with the deletion has implemented new policies for transitioning workers. The removal of the policy, which the Office of Personnel Management previously issued to “address some of the common questions that agencies have raised…with regard to the employment of transgender individuals in the federal workplace,” took place in late November. It is still viewable via the Internet Archive’s “wayback machine,” but is no longer on OPM’s Diversity and Inclusion site. OPM—the agency responsible for governmentwide human resources policy—has added a new memorandum titled “Guidance Regarding Non-Discriminatory Practices in Federal Employment.” It is located in the general reference materials section of the site rather than the lesbian, gay, bisexual and transgender resources heading. 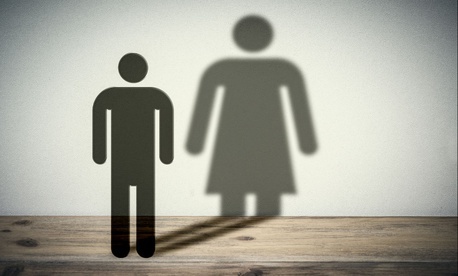 It does not mention transgender issues, but does compel agencies to only change the gender or name on employees’ personnel files after obtaining legal documentation. The deleted guidance noted that a legal change may be difficult to obtain or the employee may simply choose not to do so, and agencies should still enable the change for email accounts, employee directories, business cards and other items. There is now no mention of such rights on OPM’s website, though the new memo does prohibit workplace discrimination based on gender identity. The move was just the latest in a series of rollbacks under this administration for transgender rights, including President Trump’s announcement that transgender troops could no longer serve in the military and consideration by the Health and Human Services Department to define gender as binary. Inquiries to OPM went unanswered by publication time, but after publication Anthony Marucci, the agency's communications director, responded to a series of detailed questions with a brief statement. “The administration is fully committed to providing a workplace that is free from discrimination, as outlined in law," Marucci said. “While it’s not in the direction that we likely would have liked to go, it does not stop the work that we have done,” Veeney said. An employee who serves as president of one LGBT employee resource group who spoke to Government Executive on the condition of anonymity said he has many transgender colleagues at his agency and this has continued their feeling of being “under siege” by the current administration. The employee particularly highlighted the lack of recognition of a name change absent legal documentation, citing expenses or simply losing a court case from a conservative-leaning judge as reasons why federal workers may not have such paperwork. This story was updated with comment from OPM.